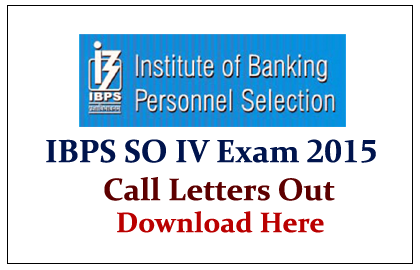 Institute of Banking Personnel Selection (IBPS) has activated the link to download the Call Letters for Upcoming IBPS Specialist Officers IV Online Exam 2015. As per notification the IBPS SO IV Exams will starts from 14th February 2015. Candidates those who applied for this exam can download your Call Letter here by clicking the link given below.